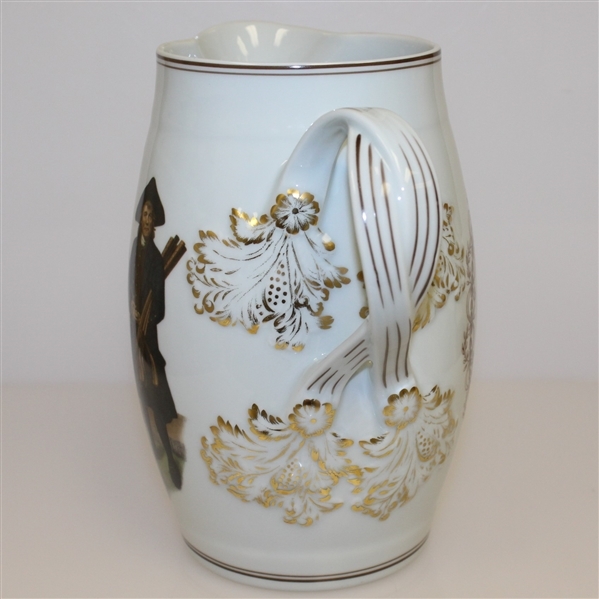 Mottahedeh & Company are renowned producers of luxury porcelain and ceramics. 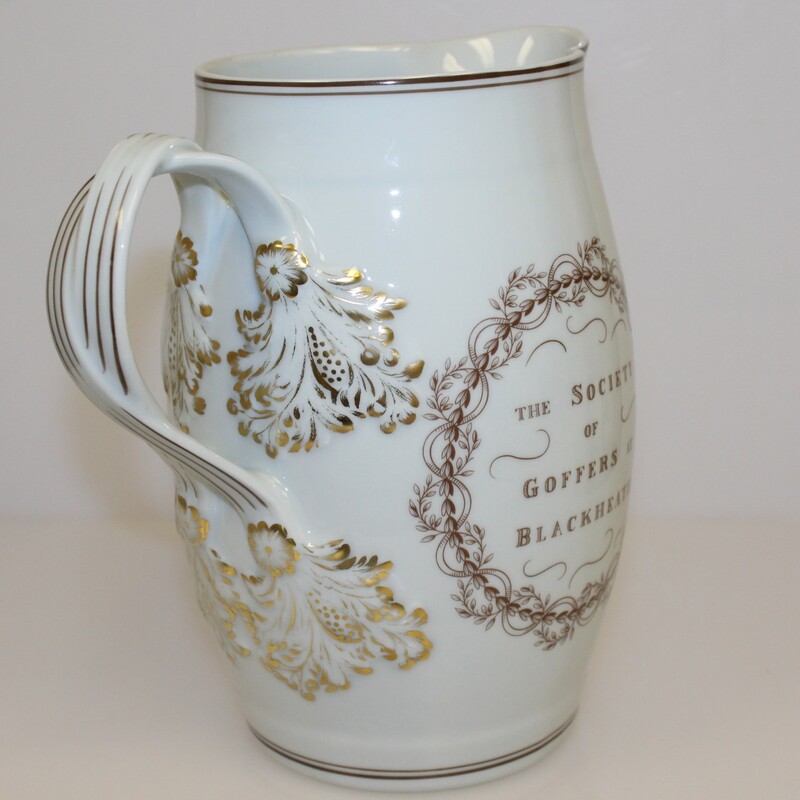 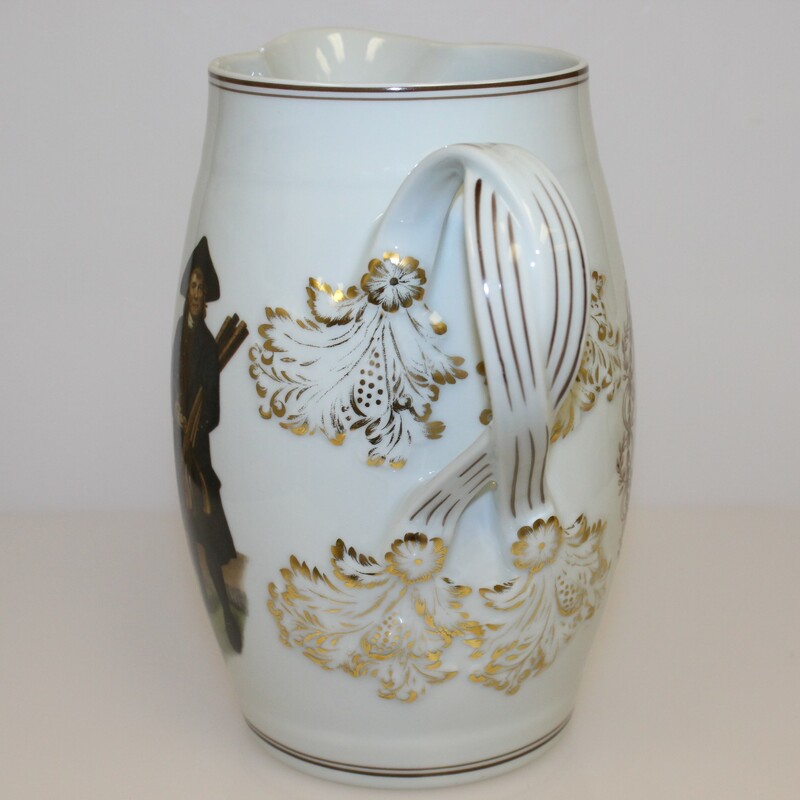 They have produced porcelain for the President of the United States and many other esteemed clientele. 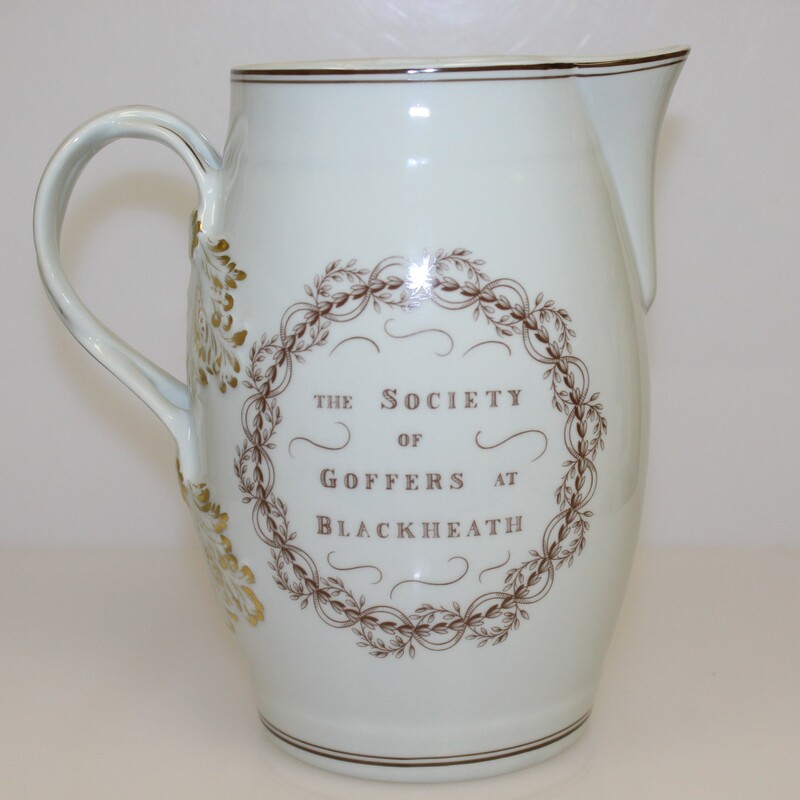 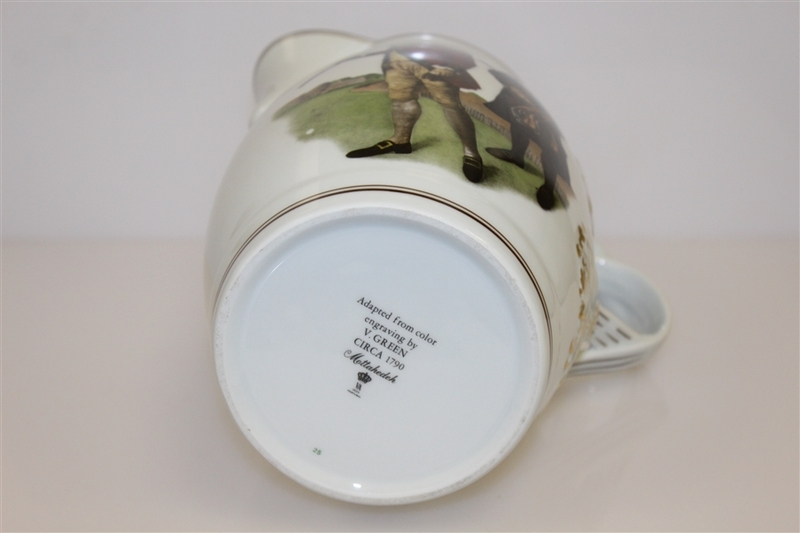 Offered here is a Mottahedeh pitcher that depicts the "Blackheath Golfers," as seen in Valentine Green's engraving. 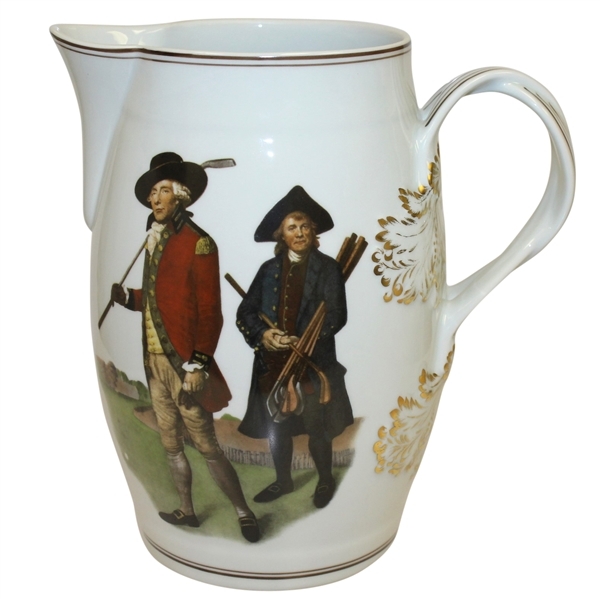 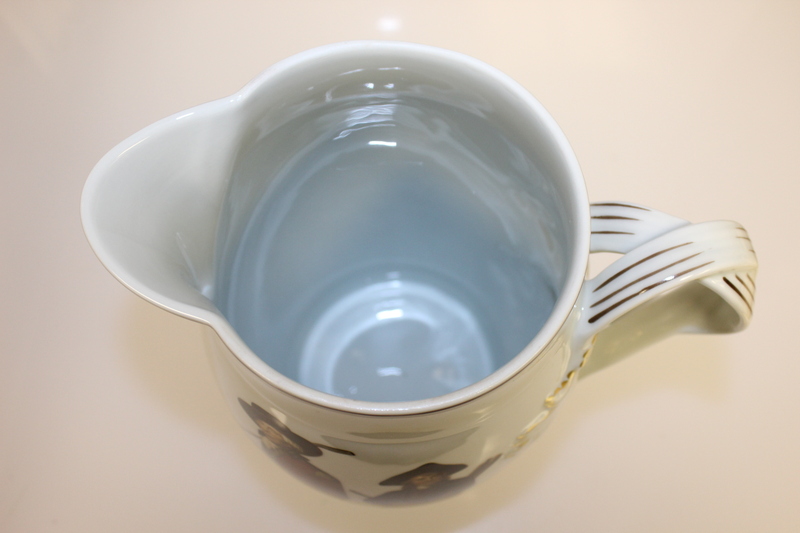 The pitcher comes in great condition and stands 9 1/4" tall.